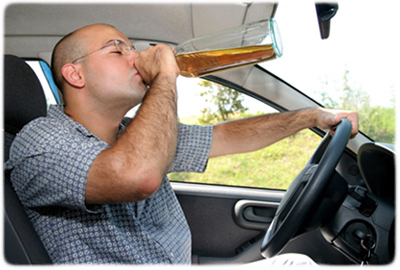 The Drug and Alcohol Driving Awareness Program offered through Dadaponline.com focuses on several key objectives. The first of these is to present the harmful effects of alcohol and drugs upon the human body and mind in a non-judgemental manner. This area of the course addresses topics such as tolerance, withdrawal, addiction, recreational use of drugs, and the chemical reactions that occur during alcohol / drug use. The course also delves into the effects of these substances on a person's driving, which can result in deadly consequences. DADAP is an effective countermeasure to risky behaviors with alcohol, drugs and driving. Our next objective is to show the impact of alcohol and drug use on society. Our course introduces real accounts of how alcohol and drugs have impacted individual lives, from adults with crippling injuries to teens who have lost siblings or friends. Without resorting to pedantry, the DADAP course causes students to think about how their decisions affect not only themselves and their immediate family, but society as a whole. It teaches students information about Texas alcohol / drug laws, and provides practical ways to help avoid future dangerous behavior and poor decision making. The DADAP course explores these topics and many more in an engaging, innovative way. Because of its versatility, dadaponline.com is acceptable for drug and alcohol related offenses, for insurance discounts, or as part of a general safety awareness program.